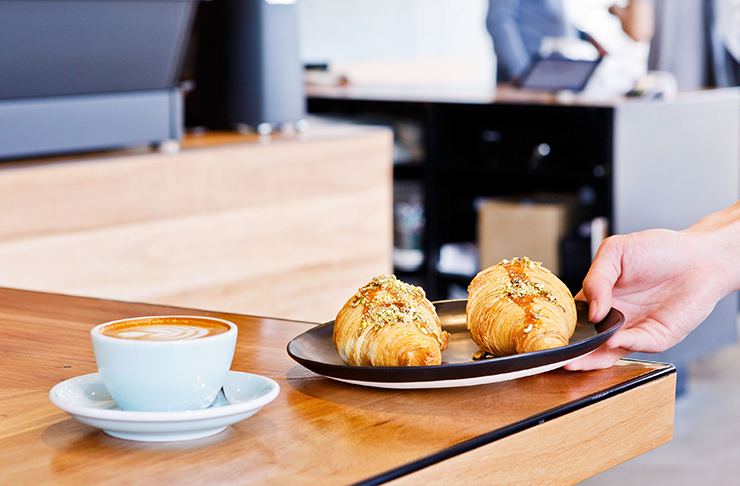 We all know that breakfast is the most important meal of the day and that coffee is the most important drink in the universe, so it's lucky that there was no shortage of cafes opening in Perth this year. From Mexican breakfasts to Korean brunches, we've hunted down the best new Perth cafes of 2017, and we've thrown in a cookie shop and an ice cream joint for good measure! Opening in the middle of the year, French cafeteria Cafe DeBretton & Bennett in Fremantle's stylish World of Renovation building delivers all our favourite French staples including cream, bacon and butter in abundance, but they also have plenty of vegan-friendly options. We love their “not tuna” pate alternative made with sunflower seeds and almonds. These guys also open on Friday nights in case you feel like a bit of wine and cheese. If you're looking for a tasty and very Instagrammable brunch, Atlas is the place to go. 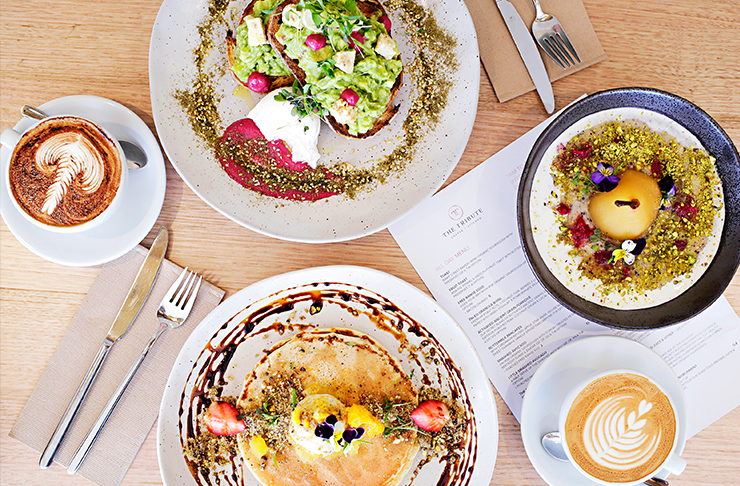 Think rainbow layered drinks; Nutella pannacotta with torched marshmallows and fig granola; charcoal, beetroot and turmeric lattes; and a seriously pimped up smashed avo which comes with halloumi, corn, quinoa, nuts & seeds, poached eggs and more. What more could you want? Little H opened back in February and wowed us with their red velvet pancakes, the breakfast burger and the epic coffee. If you haven't tried this one yet you're doing life wrong. Finally, there is somewhere to get a good coffee in the morning in Mosman Park! If you happen to drive down Stirling Highway on your morning commute, you'll want to stop in at Lily Bean next time you're on your way to work. Aside from their delicious coffee, the team here also does great healthy breakfasts and lunches that look far more appealing than the salad you threw together before work. Doric St Cafe + Kitchen is whipping up some seriously impressive breakfasts and lunches with a Korean twist—you have to try the Korean ragu! They also do a mean acai bowl if that's more your style and the coffee is perfection. Vegans rejoice—Roho Bure set up shop on South Terrace in South Fremantle at the end of winter to get us in the spirit for summer days. Serving up scrumptious vegan ice cream in flavours like salted caramel, coconut vanilla with dehydrated raspberry dust and a raspberry coconut and cardamom flavour, your tastebuds are in for a real treat! They also do vegan shakes, vegan affogatos and so many raw and vegan treats. Think banoffee cheesecake, rawreos, peanut butter cups, cake pops and every naughty-but-nice thing under the sun! Oh yum! With their slick fit out, strong coffee and delicious eats, The Tribute in Shelley is an absolute no brainer next time you're in the area, and even if you're not, it's worth the drive! The head chef previously worked at Restaurant Amuse and you can see his Middle Eastern heritage shine through in dishes like the smashed avo which is served with dukkah crusted feta, beetroot puree and za'atar, while the head barista was previously at Timber Cafe in Harrisdale, so you know the coffee is going to be ace! Regular Coffee Co is absolutely stunning—think lots of natural light, loads of plants, plenty of cute tiles and a baby pink wall to top it all off—and the team here are brewing some of the best coffee in the north, not to mention the food. The breakfast burrito is full of chunks of chorizo and black bean salsa—and is served with tortilla chips for good measure—while the smashed avo comes with feta, sweet chilli jam and pumpkin puree. They also do a healthy green bowl with quinoa that will have you glowing from the inside out! Get Chunky opened in the markets earlier this year and you all lost your collective sh*t, and for good reason. These guys are serving up the best dang New York style cookies in Perth! You'll be hard pressed to choose between the s'mores inspired choc chunk, the PB and chocolate and the coffee infused white choc chunk, but don't discount the oatmeal and raisin—with shredded coconut and deliciously sweet raisins, this will win over even the biggest sweet tooth. In case you were after a bit of good news this week, Get Chunky are opening a second location early in 2018 to keep all you peeps in the northern ‘burbs satisfied so stay tuned! La Vida Urbana, is there anything you can't do? These guys opened in September and quickly became one of our favourite restaurants in Perth, so obviously, we went back within three days of our first visit to try their breakfast and it doesn't disappoint. The avo on toast with charred corn is exceptional and the big breakfast comes with eggs, chorizo, bacon, fried potatoes, mushies, beans and a neat little stack of tortillas. The chilaquiles—fried tortillas for those of you playing at home—are excellent and if you still don’t know what to get, just get eggs on toast and go to town on all of the sides. Remember that coffee window that opened a couple of months ago and gave away Portuguese tarts that everyone went nuts over. Yeah, that was Graffiti. A gourmet-to-go foodie haven, Graffiti offers up a whole lot of urban vibes with some uber cool street art on the walls, as well as a menu that features artisan coffee from Blacklist Coffee Roasters, scrumptious barbacoa buns (which are as delicious as they are affordable) and, of course, plenty of Portuguese tarts to go around. Your trips to the CBD just got a heck-load better! 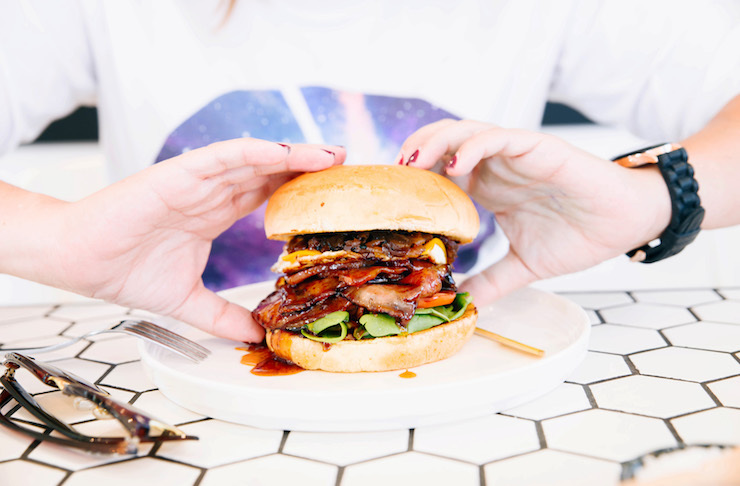 Raisin’ popped up without too much fuss in Shenton Park in the location that used to be the video store in mid 2017, and let’s just say, there should have been more fuss. They've got a selection of the sweetest of treats like salted caramel croissants and those pillowy soft buns oozing with either French chocolate buttons or piped with matcha buttercream that sell for only $2 a pop. They also do one of the best bacon and egg sandwiches we’ve ever tasted. Sage in Vic Park has got your daily brunch needs sorted. They've recently updated the menu and we're itching to try the black rice pudding with pandan and lime syrup and we certainly wouldn't say no to the stracciatella di buffalo with kale, poached eggs, saffron, fennel, pomegranate and za’atar, all served on sourdough. The cafe also serves milkshakes like Nutella and peanut caramel, yum! Want more? Check out more of the best new openings in Perth.